Everyone loves a hype cycle – at least until the disenchantment phase kicks in. Nothing spoils a party like someone demanding more than just words on a brochure. I mean, after all, anyone should be able to call their widget the highest-performance, lowest-power thing ever, right? Requiring actual evidence is such a downer. And if you’re talking about the Internet of Things (IoT), then… well, where do you even start? You’ve got edge nodes – the gadgetry containing sensors and/or actuators; you’ve got local computation in the gateway (maybe); you’ve got the cloud; you’ve got the networks connecting everything; you’ve got security and privacy – or not – and all those things have to work right for everything to, well, work right. 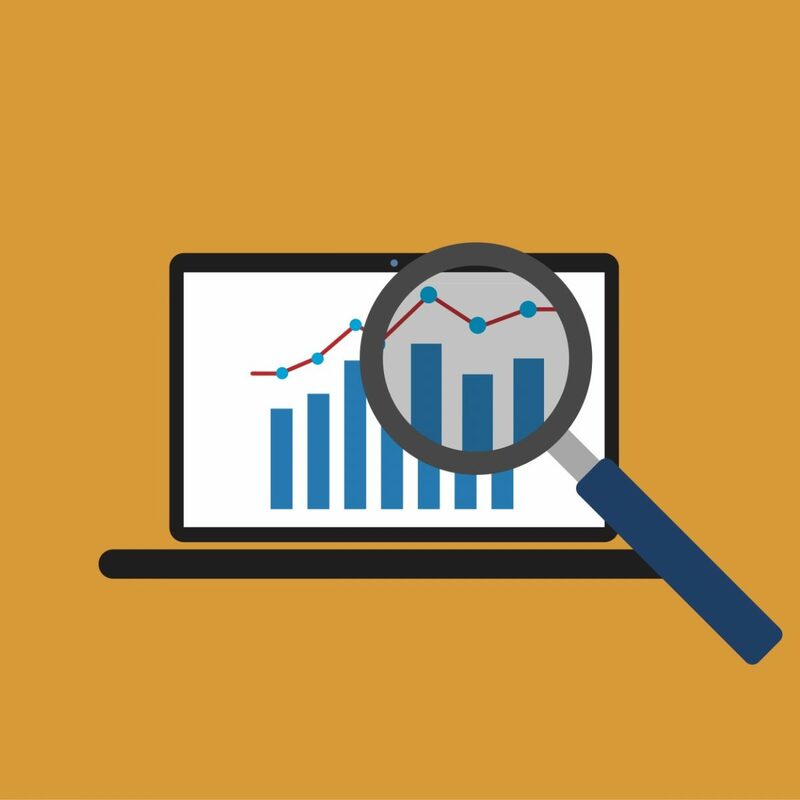 At one level, you’ve got actual customers – residential or industrial or automotive or agricultural or medical or whatever – trying to figure out what works best. At another level, you have designers specifically trying to make their widget be the best. That means they need to know which components are going to give them the speed/power/cost profile that they need in order to make that end customer happy. Well, there’s an app for that. We call them benchmarks. Otherwise known as calling everyone out on their claims. EEMBC announced an effort to address issues of interest to makers of anything IoT back in 2015, starting with what was then called ULPBench – a benchmark focused on testing the power on ultra-low-power (that’s the ULP bit) MCUs. Over the last several months, new progress and new efforts have been announced; we’ll review some of them here. The next wave of ultra-low power measurement is nearing completion. But, consistent with a number of EEMBC’s benchmarks having names ending in “Mark,” they’ve renamed ULPBench to ULPMark. The thing is, it’s not like there are four benchmark suites, one for each of these. More in the spirit of Design of Experiments, there are ten one-second “activity slots” that run in succession. Each has a different combination of settings. Everything sleeps when not used. RTC, which was setup with a timer start in the first slot and just keeps running until the last slot, where the elapsed time is checked. Formal launch of this benchmark is imminent. Next is an effort to characterize various radio modules, starting with Bluetooth Low Energy (BLE). This is conceptually different from ULPMark, since MCUs can be designed intentionally to be high performance or low power, so the ones that don’t do well with low power may have other applications at which they excel. Radios, by contrast, can probably never be characterized as ultra-low power, and, given a protocol and a profile, it’s always the goal to get power as low as practical. A higher-power radio with the same functionality and range would provide no obvious other benefit. So the IoTMark-BLE benchmark looks at the energy cost of BLE on different MCUs. 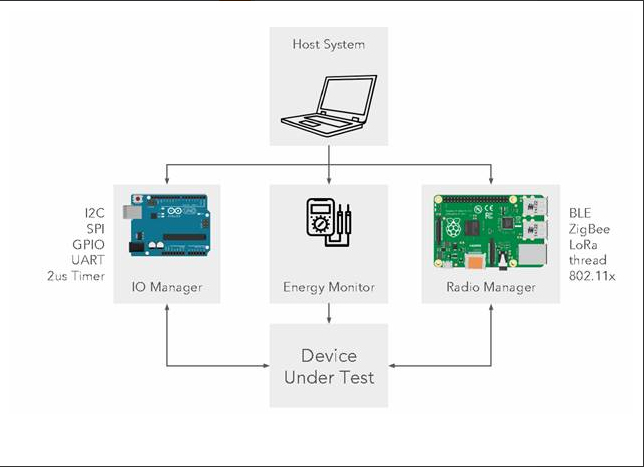 Even though the radio is the key part here, the energy measured is the total sensor/MCU/radio energy (although it is possible to tease them apart by focusing on specific work tasks). A radio manager controlled by the server that communicates wirelessly with the DUT. An easier-to-see photo of the actual board looks something like the following. Once a “flat” board, it has now been split into three modules: one for the I/O Manager and Energy Monitor, one for the Radio Manager, and one for the DUT itself. What you can’t see is all the wiring on the backside of the board. The DUT wakes up every 1000 ms (= 1 s) and reads 1K bytes from the I/O Manager over I2 It performs a low-pass filter operation on the data and then sends the filtered data to the Radio Manager. At this point it goes back to sleep. Note that the data isn’t actually transmitted wirelessly; rather, it’s queued by the MCU stack for transmission when the radio wakes up, and a notification is readied. The Radio Manager also awakens every 1000 ms, but not necessarily in synch with the DUT. It sends a write command to the DUT. This is queued by the RM’s BLE stack. At the next BLE connection interval, the queued DUT data is sent to the RM and the RM write command is sent to the DUT. The DUT then wakes up to read the data, performs a CRC, and goes back to sleep. As different MCUs perform this exercise, the Energy Manager can report on the energy consumed in the process. Completely separately, another working group is developing a security-related benchmark called SecureMark. The idea here is to measure the execution efficiency of various cryptographic protocols across MCU platforms. This is a work in progress, targeted for launch in the Q1 2018 timeframe (although with these kinds of efforts, the future is very hard to predict, especially ahead of time). 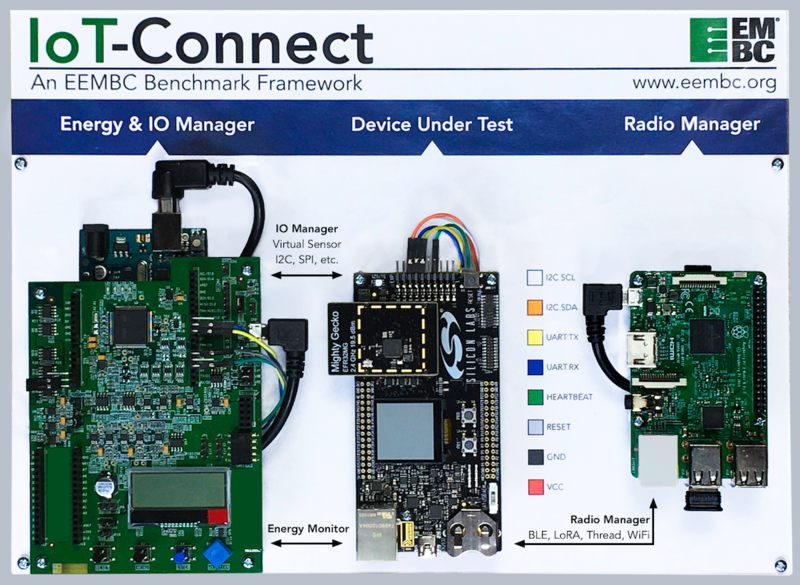 What do you think of the EEMBC IoT benchmarks?